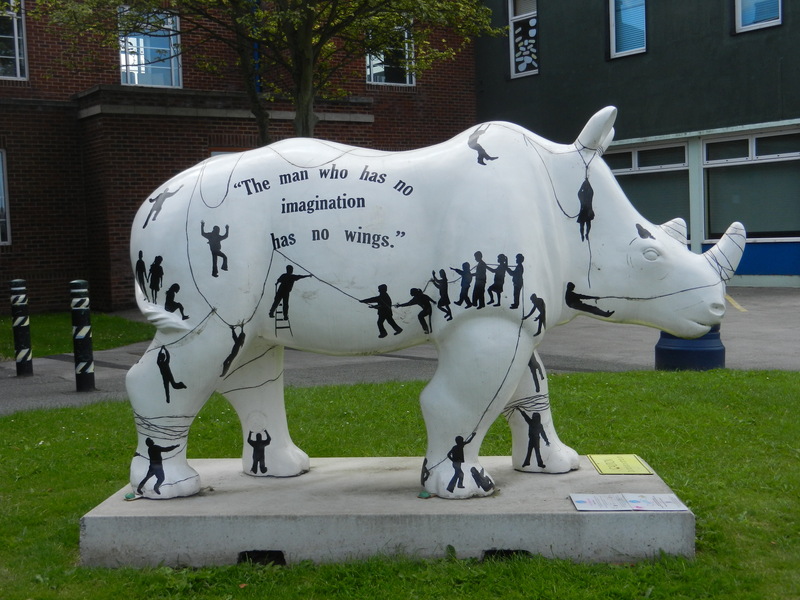 This rhinoceros sculpture is in front of a secondary school near where we live. When we first saw it, we figured that it was part of some public art project, something like moose in Toronto or cows in Edinburgh. However there was not much more evidence of rhinos around Chester other than a mural and one other statue which seems to have disappeared months ago. Today I looked up the story. It was an art project from 2010. The school rhino seems to be one of only a few left around.